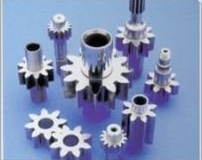 Equitable Engineering uses state of the art Computer Aided Design and Manufacturing, with over 60 years Engineering and Manufacturing experience to produce a wide variety of precision gears, splines and Curvic Couplings®. 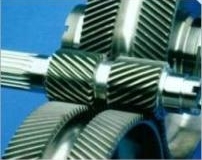 Equitable Engineering has a highly skilled and experienced work force and can accept any challenge a fast paced and quickly changing Aerospace and Defense industry can present. Equitable Engineering is capable of five axis / five sided milling and turning on work pieces up to 31″ in diameter. 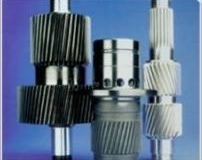 Capabilities also include, gear/spline hobbing up to 16″ diameter, gear/spline shaping up to 36″ diameter, Curvic Couplings® up to 48″ diameter and internal/external gear grinding to 24″ in diameter. 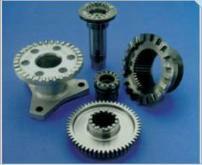 Modified gear forms, unusual tooth leads, chamfers and crowns are accurately machined with Equitable Engineering designed and built gear finishing equipment Cut gears capability:(4 – 200 D.P. 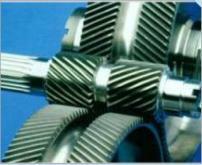 ); ground gears capability: (4T – 360T) ± 2 seconds of ARC accuracy; up to AGMA Q 15 tolerances. 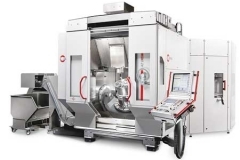 Equitable Engineering is housed in a 25,000 square foot temperature controlled facility to maintain a clean environment and hold AGMA Q 15 tolerances for your flight critical hardware.